Stephen Harper on Saturday will ask that an election be called, after opposition MPs voted together to defeat the Conservative government. It's official — the government has fallen from power, clearing the way for a spring election. The opposition Liberals, NDP and Bloc Québécois came together Friday afternoon in a historic vote to say they no longer have confidence in the Conservative government. Prime Minister Stephen Harper addressed reporters after the vote and said he would meet with the Governor General on Saturday "to inform him of the situation and to take the only course of action that remains," referring to the dissolution of Parliament and an immediate election campaign. Harper began his remarks by saying that while Canada's economic recovery has been strong, the global economy is still fragile. "The budget presented this week by the minister of finance, the next phase of Canada's Economic Action Plan, is critically important," Harper said. "There's nothing — nothing — in the budget that the opposition could not or should not have supported. Unfortunately Mr. Ignatieff and his coalition partners, the NDP and the Bloc, had already decided they wanted to force an election instead," Harper said. "The fourth election in seven years. An election Canadians clearly don't want." 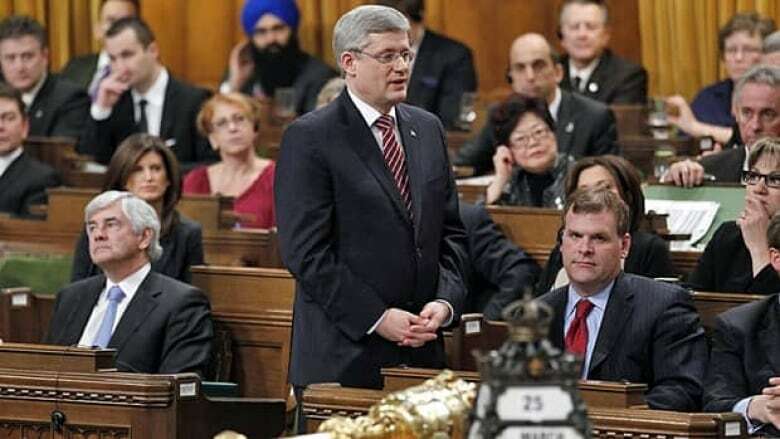 "Thus the vote today that disappoints me, will, I expect, disappoint Canadians," Harper said. Liberal Leader Michael Ignatieff said Harper showed his contempt for democracy by not taking questions. "We've seen an historic moment in our democracy ... a prime minister condemned by the chamber for contempt," Ignatieff said. "He's lost the confidence of the House of Commons." "Over 36 days we'll present an appeal to Canadians who don't just want to restrain him but replace him," Ignatieff said in reference to the campaign. Ignatieff was repeatedly pressed by reporters to state "yes" or "no" to the question of whether he would seek to form a coalition government in the event of another Conservative minority, but he would only say he was focused on presenting a Liberal alternative to the Conservatives. 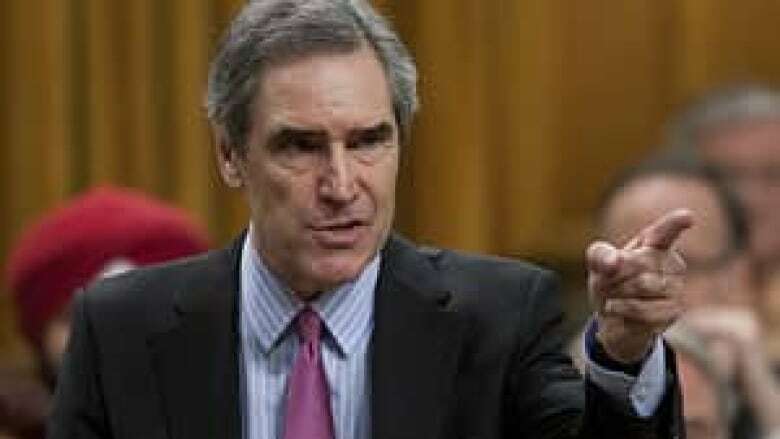 "If you vote for the NDP, if you vote for the Bloc, if you vote for the Greens, you will get more of this," Ignatieff said, gesturing back to the House chamber. "More contempt for democracy, more neglect of the priorities of Canadian families." NDP Leader Jack Layton portrayed his party as the alternative to the Conservatives. "New Democrats will be all across the country taking on the Conservatives, and we'll show that we're the only party capable of defeating the Conservatives coast to coast to coast," Layton said. "Ottawa is clearly broken and this election is going to be about how we're going to fix it," Layton added. Layton, who is recovering from prostate cancer and recently had hip surgery, said his test results and his health have been good. "I had my stitches out yesterday, I expect to be rid of the walking assistance in a few weeks ... I'm not sure what other details you want. I could undress right here before you, but I don't think that would be in the interest of Canadian politics or good television," he said, prompting laughter from reporters. Bloc Leader Gilles Duceppe disputed Harper's statement that it was the opposition who thrust voters into a campaign, saying Harper "wanted an election and he got an election." He said democracy is a tool voters have at their disposal to punish a government they disagree with. "This government didn't respect fundamental rules of democracy," he said. "Mr. Harper doesn't deserve the confidence of Quebecers." Only five other non-confidence votes have happened in Canada's history, according to information on the Library of Parliament website. This is the first time it has occurred because a majority of MPs voted that they believed the government was in contempt of Parliament. Former Conservative — now Independent — MP Helena Guergis and independent MP André Arthur both voted against the Liberal motion. Liberal MP Keith Martin, who is not seeking re-election, was not in the House for the vote. In the moments before the vote, many opposing MPs, including Harper and Ignatieff, shook hands. Liberal leader Michael Ignatieff says the Conservative government had lost the confidence of the House of Commons, as he speaks in support of a motion to defeat the government Friday. (Adrian Wyld/Canadian Press)Ignatieff had kicked off debate earlier Friday, urging MPs to defeat the government. "A government that breaks the rules and conceals the facts from the Canadian people does not deserve to remain in office," he said. The motion said the House agrees with a Commons committee report tabled earlier this week that found the government in contempt of Parliament, "which is unprecedented in Canadian parliamentary history, and consequently the House has lost confidence in the government." Speaking for the Tories, government House leader John Baird said the opposition is ending the work of a Parliament that's gotten a lot done recently. "The Liberal members over there claimed to have found that the government has done something wrong," Baird said. "What they aren't telling Canadians is that this was an opposition-stacked committee who used the tyranny of the majority to get the predetermined outcome they wanted." Earlier this week, the procedure and House affairs committee tabled a report that said the government is in contempt of Parliament for refusing to supply enough information on the cost of the F-35 fighter jets, their justice system reforms and their projections for corporate profits and tax rates.